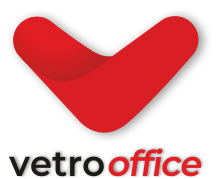 Within Vetro, we have a specialist Sales & Marketing division. We help clients to find the best talent within the market and candidates to find their ideal job. We offer recruitment solutions to a wide range of sectors, including; B2B and B2C, Marketing, PR, Communications, Events and Media. If you can't see the Sales and Marketing job you are looking for, please give us a call on 02921 660880, and one of our specialist team will be able to discuss exactly what you are looking for. Follow us on Facebook, Twitter & LinkedIn for our latest Sales and Marketing jobs, blogs & industry-specific news. Visit our blog for the latest Sales and Marketing news, views and sector updates.